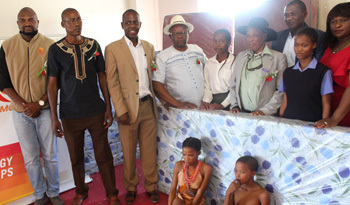 The Tsumkwe Primary and Secondary School as well as the Tsumkwe Community Development and Learning Centre, received mattresses and educational items worth N$319,000 from the National Petroleum Corporation of Namibia late last week. Namcor Communication and Public Relations Specialist, Utaara Hoveka, said after having seen and heard about the plight of the learners at the school who were sleeping on the floor and the needs of the community development learning centre, they decided to donate. “The donated items are 190 mattresses to the primary school, 150 mattresses to the secondary school and educational goods including stationery, copy paper, cartridge and exercise books to the community development learning centre,” he added. Hoveka encouraged the learners to study very hard and become what ever they desire and also informed the learners of the opportunities the Petrofund offers in pursuing their studies. “Rebuke and refuse to have any thoughts of limitations,” he emphasised. 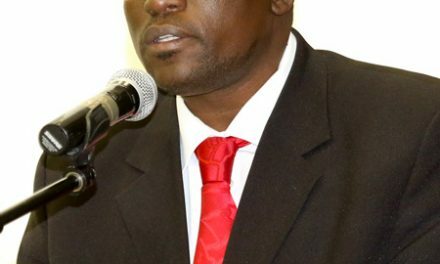 Chief Tsamkxao (Bobo) expressed gratitude towards NAMCOR, telling the learners to aspire for brighter futures of becoming doctors, lawyers and teachers. While Booysen Kasale, Tsumkwe Secondary School Principal promised Namcor that their donation will not be in vein and will be take good care off. John Khamused, Special Advisor to the Otjozondjupa Governor also urged other companies to give back to the community to make learning and teaching easier and to uplift communities.